Beam seeks to empower users to donate not only their own money, but that of corporations as well. The app shows users partnered retailers in the area (like Dig Inn, Think Coffee, and Pinkberry in New York) supporting relevant causes from education to sustainability to public policy. Every time you visit one of these retailers, you can select an associated nonprofit, and have the company donate directly to that cause. By leveraging Foursquare’s Pilgrim SDK, Beam sends its users push notifications whenever they pay a visit to a partner brand’s store. 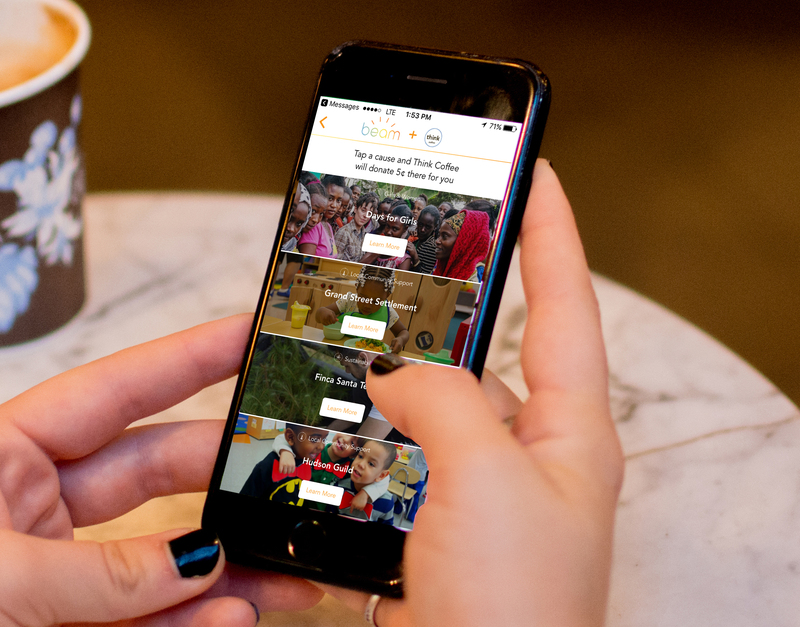 Once this notification is opened, users will see four retailer-supported nonprofits, and have the opportunity to select the one that most resonates with them. The partner brand will then make a small donation (somewhere between 5 and 25 cents) to the selected nonprofit. And of course, the more you visit a store, the more of an impact you’ll be able to make. Supported charities currently include Days for Girls, Hudson Guild, Chef’s Collaborative, Family Farm Disaster Fund (supporting farmers displaced by Hurricane Harvey), and International Rescue Committee (providing resources for refugees), though this list is expected to grow (as are partner retailers). While Beam is only available for iOS for the time being, we imagine that you’ll soon be able to find the social impact app on Android as well. You can download Beam for free from the App Store today.